Grandparents’ Rights to Custody and Visitation in North Carolina. Under N.C. Gen. Stat. § 50-13.5(j), either parent of a child or an interested party (including a grandparent) may petition the court for a modification of child custody or visitation in any action in which custody previously has been determined. Under this statute, the grandparent must be able to show that a substantial change in circumstances affecting the welfare of the child has occurred since the entry of the prior custody order. Transmutation is a term used in family law to describe property that has been transformed from a party’s separate property into marital property.In the context of equitable distribution, the term “separate property” refers to property that is owned by one spouse individually. 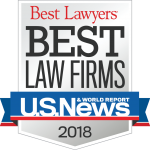 Depending on the nature and complexity of the issues in dispute in your divorce or child custody matter, your attorney may recommend that you engage the services of non-lawyer professionals to assist with certain aspects of your case. The cost of retaining non-lawyer professionals can add to your legal expenses. “Separation agreement” is the term commonly used to describe a legally binding contract that spouses enter into when they reach an agreement regarding issues related to their marital separation. The agreement may be a simple agreement that establishes the parties’ mutual agreement to separate and their date of separation, or it may deal with more complex issues, including child custody, child support, postseparation support, alimony, and equitable distribution of marital property and debt.